The vineyards, located between Tours and Blois, in the heart of Touraine, extend over almost 250 hectares. They produce the finest wines over the most prestigious vineyards of Touraine. Come discover this majestic setting while enjoying our wines in the heart of the Loire Valley, where grow and nurture since centuries, some of the best wines in an unmatched setting. Dating from the fifteenth century, the Chateau de la Roche stands on the south bank of the Loire, four kilometers from Amboise, royal city where resided king François 1er and his host Leonardo Da Vinci. All located along the Loire on a narrow strip of 3km long. The Chateau de la Roche is since 1981 the headquarters of the"Domaines Chainier ". A marriage between vineyards and historic heritage, beautiful names and amazing appellations! which employed more than 400 workers at its height. Located on the north bank of the Loire, the Chateau de Pocé seat amidst a unique registered park where you can find majestic trees and the Ramberge river cascading through the park whose once powered the foundry. Located in the heart of the Valley of Kings, in the town of Pouillé near the medieval city of Montrichard, Domaine Paul Buisse covers forty hectares of vines in AOC Touraine. Backed by an ancestral know-how, Paul Buisse stand among the best vineyards of the Loire Valley region. Since 1905, four generations have passed and forged their mastery in winemaking to allow the family - owned business to register in excellence initiative and offer its customers wines of exceptional quality. The estate has vineyards registered AOC Touraine located on the banks of the Cher and the valleys of the Loire-et-Cher, which are the best wines of the appellation. The vines, over 25 years of age have an excellent West orientation sitting on a clay-limestone soil type, ideal for growing Sauvignon Blanc in particular. 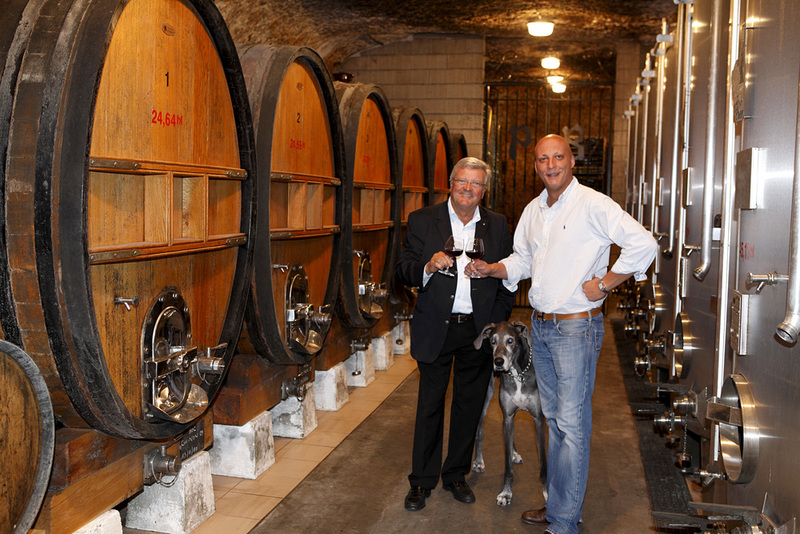 The Domaine de La Bruyère, located on the slopes of the Cher is the latest acquisition of the Chainier family. The vineyard of twenty hectares, located on a clay and limestone soil with a layer of flint, produces Sauvignon of high quality: fresh, with aromas of citrus and exotic fruits. Cultivated according to the principles of sustainable agriculture, every wine produced on the estate is the result of a rigorous selection of the best wines of our crops. Touraine Sauvignon Blanc Touraine Rosé and Rosé de Loire, come discover the wines of the Domaine de la Bruyère, They will know how to seduce you. Le Clos des Ronceveaux is a parcel of Domaine la Bruyère, located above the Caves Paul Buisse, Montrichard. Planted on a soil made of clay and limestone, the vines produce mainly Sauvignon Blanc Touraine appellation, but also Cabernet Rose also called "Fié gris." This underestimated grape variety, is a cousin of Sauvignon Blanc and gives rise to subtle pink grapes. The vines plants are older than fifty years. We give special attention to this wine that is resting high and stirring on fine lees, then aged in oak barrels for a few months, which provides a dry white wine with woody and vanilla aromas. Located in the town of Châteauvieux in the Loir-et-Cher, The Roc de Châteauvieux Domain extends over sixty hectares of vineyards. The vineyard is located on the secondary valleys of the Cher Valley, at the eastern extremity from the Sauvignon Touraine appellation and enjoy colder weather similar to central wine appellations like Sancerre. The vines benefits from a very good south, southwest exposure and a clay soil type excellent for Sauvignons. This Domain is managed by industry -recognized and wine professionals, François Chainier. Le Clos de Nouys is a parcel of twenty hectares planted on the Vouvray AOC. It is made of vines aged on average thirty five years. Already listed in geological maps from 1907, Clos de Nouys is one of the oldest vineyards of the AOC wines and were served aboard the Normandy cruise liner in 1936 and the best tables of the world. The soil made of 30% limestone, brings a constant supply of water and minerals and conducive to a perfect maturation giving the grapes this balance and strength associated with Vouvray. The vines average thirty five years, combined with a temperate climate producing exceptional grapes that expresses a multifaceted personality, flirting between sweetness and vivacity. A wine of excellence and symbol of our beautiful Touraine, Vouvray is expressed by the strength of Chenin blanc otherwise called Pineau de Loire, and is revealed in our region more than anywhere else. The essence of this wine lies in its lightness and finesse. Fruity and intense, its delicate aromas will exacerbate your senses. Combined with or in house know-how, the Clos du Gaimont today, produces the best Vouvray appellation.